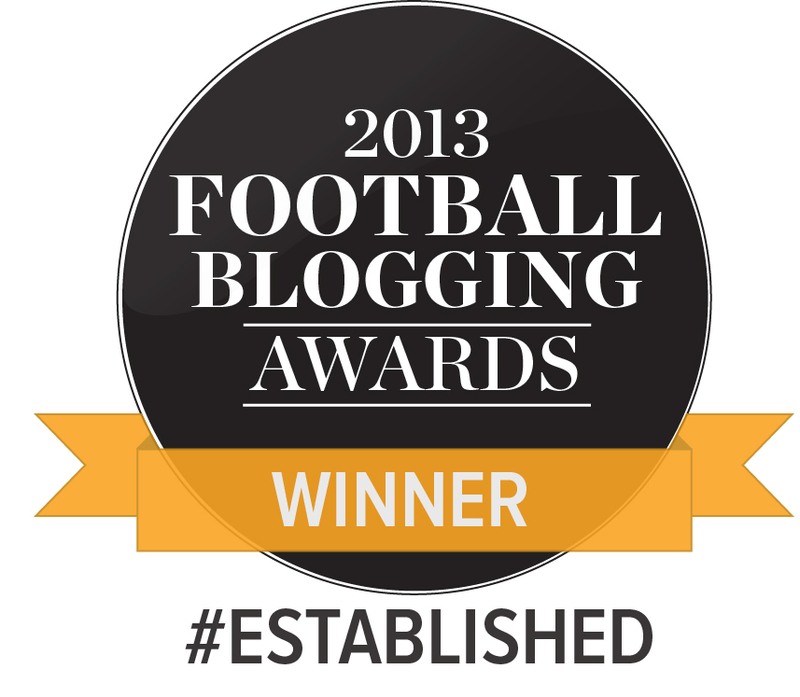 It started with the table, after the Oldham game. First and second. Or maybe it began even before then. You can’t leave in those kind of circumstances, after what we’d seen together, amidst everything that was going on back then, without making a rod for your own back, rightly or otherwise. We all know this weekend was the first date anyone looked for when the fixtures came out. It is impossible not to chalk this up. And for the next six days, as Bradford City prepare to meet Phil Parkinson for the first time since he left the club in May, expect everything to intensify into some kind of social media mutant that’s going to be more horrifying than what we’re used to dealing with. Phil Parkinson VS Stuart McCall. Seconds out, round one. However you want to bill it – and, I mean, really don’t underestimate how much we love symbolism and rivalries and billing stuff in sport in this country – you’re going to keep coming back to those two. Phil Parkinson, synonymous with Bradford City for nearly five years; Stuart McCall, synonymous with Bradford City for almost four times that, cumulatively. Second VS fourth. Old VS new. Style VS style. It’s tempting to look at this game and read the result as the barometer of whether we’ve moved forwards or backwards. And that’s a lie – we all know it’s not that simple. There are so many bigger pictures. But that narrative is there, if you want it, as are a host of others. And whichever one you choose is going to decide how you feel about the game this weekend. That this game was going to have a tinge to it was inevitable. Regardless of how well McCall’s side started the season, and regardless of how well Parkinson’s did, the debate was always going to engorge itself to the point that Parkinson VS McCall isn’t even an attractive subplot anymore so much as the event itself. What’s more, it’s comparatively rare for us to have this kind of thing to deal with. League One has never really reached the ‘peak Premier League press conference mind games’ level of ten, fifteen years ago. I can think of only a handful of instances in the past ten years involving us. Ronnie Moore, Steven Pressley, done. We don’t have Ferguson and Mourinho making an art form of the media interview, staring fixedly down the lens with the gazes of well-trained poker players and reducing the steeliest managers of the noughties and nineties to bumbling YouTube sensations. Seagulls don’t really follow the trawler down here. So to be in this position is weird. Parkinson’s offhand comment about point-scoring stood out for its peculiarity, more than anything. I didn’t really view the Cullen and Beevers stuff as ‘McCall one, Parkinson one’. You just get on with the job, don’t you? We all know Parkinson and McCall will come out in their press conferences this week and play that weight of history down, insist Saturday is just another game – for 90 minutes, at least. So will their players. And it will have to be. That’s absolutely the right attitude to take. But for us, in the stands, Saturday is seemingly about to thrust us back into the debate that has waged on and off ever since Parkinson upped sticks in May. And the wisdom of running over that ground again at this point is questionable. What’s done is done. We really should draw the line in the sand. It’s difficult to gauge the depth and breadth of any ill-feeling towards Phil Parkinson right now. The argument is, with an outlook so decidedly short-term, Parkinson didn’t leave the club in as strong a state as originally anticipated. The line ‘only eight permanent players’ is churned out with increasing frequency. He took almost all the backroom staff and all the scouting records, City potentially losing the West Ham link that served them so well the year previously. He ran a YouTube interview about his plans for the club when his mind, conceivably, was already in Bolton. Maybe that shaped the contract talks with Ben Williams, Jamie Proctor. City were up the creek and Parkinson had the paddles, James Mason frantically swishing water, clinging to the life raft. Four years of dreamland came to a jarring halt, the rug pulled out from underneath. That resentment burns so strongly in some quarters that there’s potential for Parkinson’s reception in September to be colder than Peter Taylor’s was when he returned with Gillingham almost three years ago. Peter Taylor is regarded with a fondness people are willingly deeming beyond Parkinson’s reach. How does that make sense for anyone? There has suddenly been an invidious rewriting of history. It is startling how quickly, starkly and unfairly public opinion has swung against Parkinson. Maybe people thought it was Parkinson’s job to ensure a greater level of continuity. He was there that long that maybe it was reasonable to expect some sort of contingency plan. But the Parkinson approach was inescapably short-term focused, relative to McCall’s. Parkinson wanted to overhaul the club’s approach. He changed the training ground, the mentality, pulled a dying club from its knees. The value of that can never be underestimated. But outlook-wise, Stuart and Rahic are different beasts. It’s understandable for Parkinson to have overlooked the youth team. That’s not a bad thing. City improved year on year. It wasn’t a weakness, necessarily – it was just the way he did things. How you evaluate Parkinson’s legacy comes down to how you measure the success of a managerial spell. Broadly speaking, he left the club in a far healthier position than when he inherited it – in a healthier position than many of the managers who walk into jobs over the next few years will find their workplaces. In the short-term, things were a little more mismatched. He dismantled much of what made his approach work, but those core principles remain and have been revised to fit with Stuart’s style. The Phil Parkinson transformation was completely foundational for what is taking place now. Few other managers could have revived this club in the way he did, giving us some of the best nights of our lives in the process. But over the summer, we saw some of that expectation manipulated slightly. It is not Parkinson’s job to look after us anymore. Once he signed for Bolton, Parkinson’s responsibilities to Bradford City ended. Over the summer, it wasn’t his job to be altruistic and benevolent and act in our best interests – you’re going to take your team, your winning formula, across the way with you. Why are we so aware of football’s overarching dearth of sentimentality yet so keen to chastise people when they fall in line with it? Maybe where we wanted to be, where we expected to be, post-Parkinson – maybe the reality fell short of the hyperbole. But I think there’s something questionable – at least misplaced – in blaming Parkinson for that. He was building for 2015/16 last year in that team, in every single way. No more, no less. If we praised his resourcefulness in the loan market back then, it’s now revisionist to deem that a weakness, the reason the squad was so shallow over the summer. It worked at the time. For Parkinson to have planned beyond that was probably beyond the initial remit. I had visions, clear as day, of us struggling at the foot of the league at Christmas, lumbered with some well-intentioned (if nothing else, at least) manager who just didn’t understand us, casting envious eyes at Bolton, yearning for the way we used to be. I’m not ashamed to say that was 100% my expectation in the day or so following Parkinson’s departure. Even Uwe Rosler, who was the favourite for a couple of hours on the Friday, was someone I knew it would take time to get on board with to the level I backed Parkinson. In that climate of uncertainty, I was terrified. We all were – there’s no point in trying to rewrite that period. The players Parkinson left behind were his strongest, and his core principles remain in place now. The Phil Parkinson chapter is not entirely closed. He and McCall dovetail, interlink, press into each other, because the club move forwards apace under Parkinson and many of the present ideals find their origins in him. “New era, same values”. Any achievements this season will unmistakably be McCall’s – this team has his stamp all over it – but would we be here without Parkinson? Have people really forgotten how bad things were before he came? He taught me what I love and value and treasure in football teams and football players. He gave us some of the best things any of us will ever see. This constant need in some quarters to overwrite that suggests the wounds are still rawer than they need to be right now. McCall, Rahic, Abbott and Black accepted the City challenge with alacrity. Everyone is so happy. There is no need to be bitter anymore. One day, history will look back on Phil Parkinson favourably. Because he deserves that. And deep down, as awkwardly as you might feel his legacy sits in the aftermath of everything that happened, everyone knows that he is up there as one of the greatest Bradford City managers of all time. There is a 2013 Suite, for crying out loud. If things had nosedived now, and City were in freefall, and managers were falling like bowling pins, I could understand the malice, the resentment. But we’re not. If anything, we look even stronger than before. Any handicaps or impediments that arose in the wake of Parkinson’s departure, City tumbling out the transfer market blocks weeks after the rest of the world, have been well and truly hurdled now. If that wasn’t the case, maybe we would reserve the right to be angry, to feel betrayed. But Parkinson, like all of us, reserves that right to choose his own field of work. I’m not defending the indefensible here – just the reality of the football world. I don’t see the point in trying to second guess his motives and question when he mentally began to leave Bradford City. Was he thinking about Bolton when he gave that interview to James Mason? What does it matter? If he wasn’t on board with Rahic and Rupp, it was best to cut the ties then. His reasons are personal to him, end of. It’s not inconceivable to think that maybe he just genuinely wanted a clean break. Maybe he really felt he’d taken the club as far as he could. Maybe he didn’t feel like he could work within their vision. They bring in Stuart, and we move on. There doesn’t have to be an ulterior motive. Are you happy with Stuart? Yes? Then, what’s the issue? You can torture yourself, but what do you gain? Phil Parkinson will one day be remembered as one of the most important people in the entire history of Bradford City. For four years, we were him and he was us. On Saturday, as he walks out at the Macron, and he wears that Bolton jacket, and he dishes instructions to Jay Spearing, there will be little room for sentimentality. This is business, and this is just another stop off on the journey to wherever this season takes us. He has to be ‘just another manager’ this weekend. But you can’t erase everything that passed between us. This isn’t about moralising. Everyone will have their own responses, their own opinions – that’s what makes football. But it’s about being reasonable, respectful, dignified, and talking about things in light of what really happened – not what a bunch of iniquitous revisions suggest could, should have happened. One day, we will talk about him without anger, or ambivalence, or disproval, and just see things for how they actually were. Four years of unparalleled progress, eventually giving way to McCall’s era. 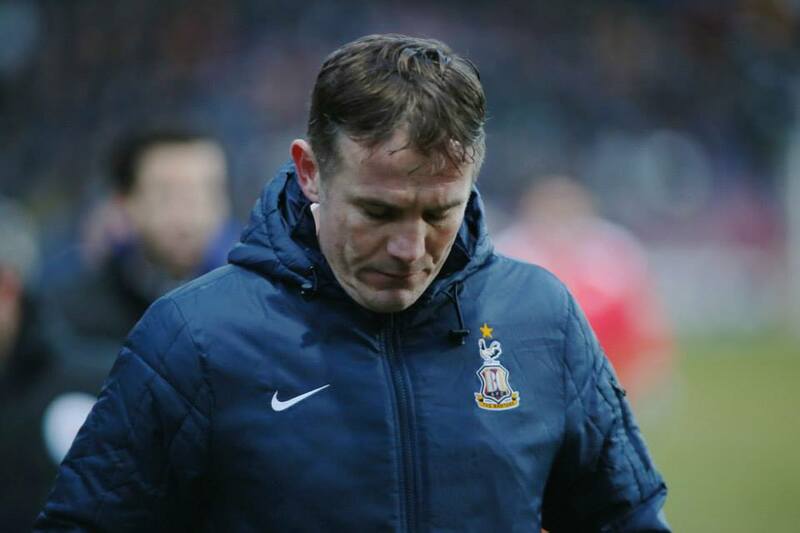 Phil Parkinson deserves to be remembered for saving Bradford City. He deserves that just as much as anyone. But he’s not ours anymore and we’re not his. That is what everyone needs to remember this weekend – but perhaps there is a manner in which you do so. Spot on. I will clap PP out to the dugout on Saturday as a mark of respect for all he did for us. And then sing my heart out for Stuart’s team. I’d like to see what acknowledgement PP gives us at the weekend too.I’ll always remember him fondly but the way he left will slightly taint it. Not that he left to Bolton or took players, staff, scout reports with him but that there was no expression of gratitude to the fans who (in the majority) have been as good for him as he was for Bradford City. I agree completely, although I think it’s the manner he left and took alot of the staff with him. I feel he could have been more up front and honest with the club/supporter’s. He did alot for the club and gave us dreams we never thought we would ever see. For that alone I thank him and his staff. I will certainly acknowledge PP in a positive manner on Saturday but I hope that our football does the talking in the end (with a win). Thankyou PP for the dreams but McCall is now hopefully on his way to making new dreams for us and personally I like what I see! Not sure if i’ll be in the majority or minority but I will defo clap as a sign of appreciation for what he achieved. I did feel the worse once he left and the only 2 names I was comfortable with that were branded about was McCall and Rosler. Did the scouting records belong to him, or the club? I’d guess they were prepared by someone who was paid by the club and, if so, belonged to the club. Not the kind of action that legends are made of! Theft of company property surely? When I was a computer programmer the code And documentation that I wrote belonged to my employer, not me. An absolute brilliant article Katie, thank you for writing it. For this whole debate you sum it up for me in your penultimate paragraph. As I have stated before, football is about opinions, however the manner in how opinions are expressed reflects the society that we live in today. We should all be respectful, reasonable and dignified, but unfortunately too many people, whether it is talking about football or other topics in life, think that they know best and that if they shout the loudest and even without factual evidence, then they must be right. Whenever Phil Parkinson was going to leave Bradford City, Steve Parkin, Nick Allamby and other backroom staff were always going to depart Valley Parade too. Look how Kenny Black has followed Stuart McCall. A good friend of mine believes that Parkinson had already made his mind up to leave us by the time of the semi final second leg against Millwill. In many people’s eyes, the timing of Parkinson’s departure was poor, however was there ever going to be a good time? Who remembers Martin O’Neill leaving Aston Villa just days before the start of a new season? Also, how many of us have changed jobs when a new boss has replaced a previous manager/manageress? I do hope that one day, maybe in a Parkinson autobiography, or even ‘an evening with Phil Parkinson’ at Valley Parade, we will learn Phil’s version of events that led to him leaving Bradford City for Bolton Wanderers. I will never forget the Arsenal home game in the League Cup, the Aston Villa home and away games in the League Cup, the League Cup final against Swansea City, the play off semi final away game at Burton Albion, the play off final against Northampton Town and the League Cup home win against Leeds United (unfortunately I couldn’t go to the away game against Chelsea in the FA Cup) and it is for the fantastic memories of these games and the way that he spoke and LISTENED to me on two occasions that I will applaud him this coming Saturday at the Macron Stadium. Phil Parkinson, thank you for bringing the pride back to Bradford City football club. Whatever happened to convince PP that his future lay elsewhere will only probably come out when it doesn’t matter anymore. By that I mean PP, the club and us fans don’t really care that much. Usually because time and the constant change in the world of football make it seem irrelevant. To add to Katies point about only 8 pros on the books, in many ways this did SM a favour. He’s been able tl build a team around a core of great players without the baggage of trying to off load players who are surplus to requirements and a burden on the wage bill. I will always be grateful to PP for realising a dream I held but never thought would come true – to see City walk out at Wembly as finalists in a major cup competition. 1) Back room staff know the new manager usually wants to bring in his favoured staff. Majority of time they leave when the Manager goes. 3) Players were released by a manager who promptly left. This is a problem and in part is Parky’s fault (particularly if he knew he might be off) but it’s also the clubs fault. The players are an asset belonging to the club not the manager. At work I cannot dispose of company assets without the permission of the senior most manager, and even then I have to build a business case to do so. In football many clubs see contract renewals and recruitment done by a Director rather than the manager to ensure the best interests of the club are put ahead of the managers whims. Parky and City in the future….well simply put he dragged the club into a new era along with Lawn and Rhodes. We enjoyed a resurgence in fortunes on the pitch, we gained a great popular movement in Bradford that sees our grand busier than some clubs a tier higher than us. We are one of the few clubs operating in the black. We have an enhanced reputation after done great giant-killing. We have an amazing professional and experienced core to our team; Meredith, McArdle, Darby, Hanson, McMahon and to a lesser extent Nathan Clarke all players who fight hard and buy in to the passion of the fans. What on earth can we be unhappy about right now as we look back on a very special era? Can’t we all say we were privileged to have sat and spectated one if those special things…you know…the ones that make your spine tingle when you think about them? Thanks Phil Parkinson and your excellent back room team, I wish you all the best in the future as long as it’s not against City, and Thanks Julian Rhodes and Mark Lawn for being decent people, who did the best for the fans at every opportunity and managed the club forms dire place to avert healthy one. A really great article as always Katie! By every objective measure, Parky should be remembered as a legend as City, for all the reasons highlighted above. The difficult part – and why this soul-searching endures – is that Parky became so much more to us than that; it became subjective. Here was a manager who “understood us”, “gave us our pride back”, “rescued us when we were on our knees”, “gave us the best nights of our lives”. They’re subjective statements, because Parky made us “Believe” again. It was in him we trusted, so for understandable reasons we are beyond objective measures in this instance. The analogy of a sudden, shock break-up works well… after all, here we were getting the kids ready for their summer holidays, planning our year ahead together, and it turns out he’s been seeing someone else, and not even someone who is clearly out of our league (which we were always quietly worried might happen one day, such a catch was he), but just someone who lives three doors down, in a house that hasn’t even been renovated, and with no money to do it up straight away. Why would he do THAT?! The great thing about the break up analogy is that, like all heartbreaks, you realise after a while that it doesn’t hurt that much (especially when you get back with your ex, who it turns out did get that make-over they’d been promising, did make massively successful strides at work, and now genuinely does want to plan a future with you! Brilliant!). And, like Katie says, because we’re happy now, I’m not convinced we need to applaud or attack Parkinson on Saturday. It was great to have known you, we loved you and we had some of the best times of our lives together… but you left us and, well, we moved on and now we’ve totally upgraded our parade!!! So cheers Phil, but y’know… we’ll just see you around maybe. Excellent article. One theme that we should not overlook is the chemistry between the respective managers and the board at VP. PP was evidently unnerved by the uncertainty surrounding the takeover and we should acknowledge that this made him assess his future – the previous summer had hardly been a period of stability after all. However I question whether PP lacked confidence in himself to meet the expectations and ambitions of our new owners. Stuart on the other hand seems positively relaxed in the new regime and is thriving to a degree that we did not see before. Of course both Stuart and PP served the same masters under the old regime. Both had instances of high-profile fall-outs. It would be interesting to know who had the better relationship of the two? We need to acknowledge PP’s contribution but we also need to move on. Incredible is how far we have already progressed in the short time since PP left. The change has been positive and not the destructive experience we feared. PP is already history and I would argue that we now have the better set-up than before. PP inherited a team that was on the verge of relegation to the Conference and heading for a Stockport-style collapse, within 18 months he took that team to a cup final. Within 2 seasons he had achieved what Stuart and the two Peters hadn’t been able to, promotion. The next season saw us safe in League One, and let’s not forget that day at Stamford Bridge in the year that followed! Every season saw an improvement in the league table, a team that was developing, and Stuart has been able to build the strongest Bradford City team in well over a decade, on the foundations of the team who fell short in the playoffs. Bradford City almost certainly wouldn’t be in such a position of health without Phil Parkinson, and even if the end was messy, that’s football, these transitions are always odd. Phil Parkinson brought life back to this team and I’ll always be grateful. Great article, Parky deserves a decent reception from the Bantams fans for all he helped the club achieve – nothing is forever…….! Applaud him for what he achieved and the raise the roof off the Macron in support of Stu and the boys – can’t wait!! It seems to be established fact that Parky took all the club’s records, scouting information etc. and it seems an act of nastiness. I treat Parky’s departure like I did Paul Weller’s from The Jam. I guess if he had “stolen” anything then the club maybe within its rights to take him to court. Many clubs use independent scouts and scouting networks to save money. It would then depend on the contractual arrangements between the club and the network as to who owned data. If the records were conducted by full employees of the club in time that was paid for by the club then the data ownership would be with the club. If the latter then yes it would be a very un-gentlemanly thing to do considering how well the club has treated him. If the former then it was never ours in the first place. Anyhow look at the type of players he liked to the ones Stuart likes and think if his shortlist would be comparable with new owners and coach anyway….